Introducing Victoria by Victoria Beckham for the new season as well as all of your signature favourites from fashion-forward label's Armani Jeans, Vivienne Westwood and Alice and Olivia. Showcasing firm favourites including Eton, Paul Smith and Hugo Boss as well as a selection of new designers such as Psycho Bunny and Avirex. Innovative footwear label Swims present their exclusive range of the 'modern galosh'. A collection of waterproof, style-savvy loafers and boat shoes which are perfect for a paddle in the sea, relaxing poolside or even to protect your look in adverse weather conditions. All men's Swims are crafted from moulded rubber, whilst featuring EVA footbeds for pure comfort. Fashion forward yet functional, Swims for men footwear make for a holiday essential. 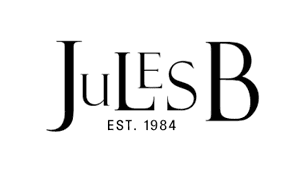 As an official Swims UAE stockist you can shop the collection at Jules B with confidence, look to the full menswear range for a host of weekend bags, along with beach accessories, flip flops and sports-inspired technical trainers. For more detailed information please visit our dedicated Customer Service pages which can be found at the bottom of any page. © 2019 Jules B. All Rights Reserved.